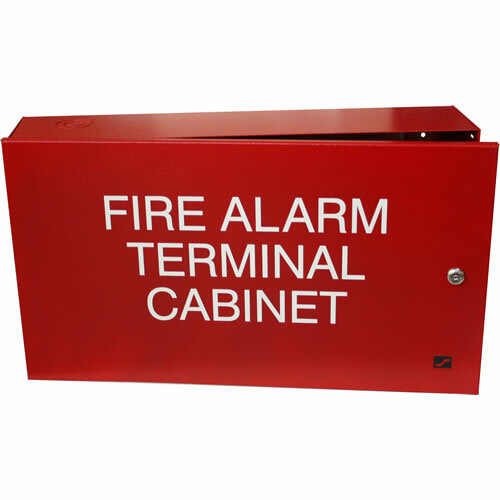 The IFX A "FIRE ALARM TERMINAL CABINET" offers easy identification of fire alarm wiring junctions for troubleshooting and maintenance of system wiring. 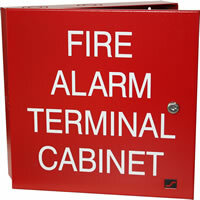 Highly visible 2" lettering and a removable "lift-a way" hinged door contribute to fast location and easy access. 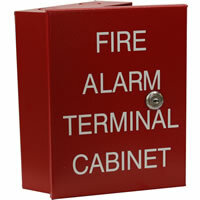 This surface mount cabinet is fabricated from 16 gauge steel with a durable, baked on, red textured powder coat finish. 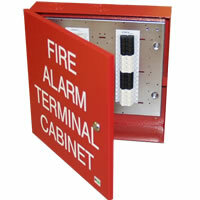 The IFX includes a high security CAT 30 keyed door lock and is UL listed for life safety. 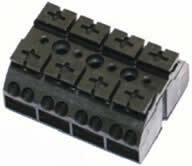 The IFX is supplied with the SAE Tool-Less terminal blocks, saving you time and effort in your installation. 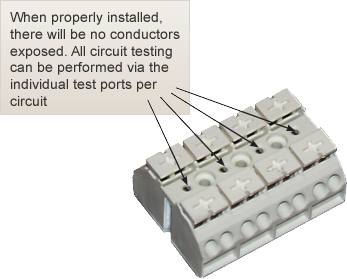 Testing the circuits can be accomplished with the use of the TTS Test Probe in the individual test ports. 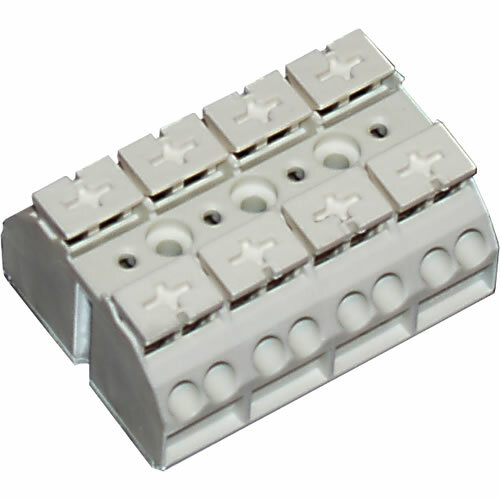 The IFX A measures 23½" W x 13" H x 5½"D.
The IFX A includes a high security CAT30 keyed door lock and is UL listed for life safety. The Space Age Electronics IFX A is a 23.5 x 13 x 5.5 steel fire alarm terminal cabinet with (16) four-circuit tool-less terminal blocks pre-installed. The IFX A offers easy identification of fire alarm wiring junctions for troubleshooting and maintenance of system wiring.